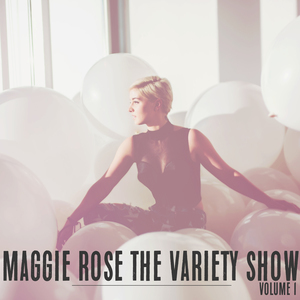 Earlier this year, Rose released ‘The Variety Show – Vol.1,’ a daring collection of tracks written and produced by Maggie. Her latest single — "Love Me More" — features sultry piano playing, while following the story of a woman struggling to find her self-worth. The video, which debuted on CMT’s Top 20 Countdown, illustrates a woman traveling through the journey of accepting her flaws and recognizing her own beauty. Watch the video here. "I am overwhelmed by the response to ‘Love Me More,’ particularly how it resonates with the female audience," says Rose. The message is about self acceptance, putting yourself first, refusing to underestimate your value and identifying the relationships and situations that might make you do so." "Love Me More" is impacting now. For additional info on Maggie Rose visit www.iammaggierose.com. With super-sized vocals and genre-spanning songwriting chops that blur the lines between country, pop and rock, Maggie Rose has earned a loyal audience, both in her adopted hometown of Nashville and beyond. It’s an audience that’s grown with her for nearly a decade, spending days as a songwriter and nights sharing the stage with artists like Tim McGraw and Sheryl Crow. Through it all, Rose has established herself as a rare triple threat: a multi-faceted artist who can write, perform, and produce a hit song. Her scene-stealing look and sound was carried over to her latest EP, ‘The Variety Show – Vol.1,’ which came out in April 2016 and landed praise from NPR, Billboard, Wall Street Journal "Speakeasy," Washington Post and more. It’s a sound that’s as varied and energetic as Rose herself, pointing to a star who continues to carve out a space for herself in the country world, even as she challenges its boundaries. Recently named one of CMT’s "Next Women of Country" Class of 2016, Rose teamed up with high-powered manager Narvel Blackstock of Starstruck Management, positioning her to carve out a space for herself in the country world. She is currently in the studio working on the album she’s always wanted to make; a new project that continues to display her evolving style, transcend norms and showcase her unique artistry and sonic and lyric versatility.